Two people were killed last week while riding all-terrain vehicles (ATVs) in Stevens County, according to the Stevens County Sheriff. A 27-year-old woman and a 46-year-old man were riding when they struck a cable. Reports say the cable hit them in the upper chest and neck areas. The woman is from the Nine Mile area. The man is from Spokane. They were riding on private property near Riverview Lane, about 40 minutes outside Spokane. No further details are known about the ATV accident. ATVs, also known as a quad, quad bike, three-wheeler, four-wheeler or quadricycle, claimed the lives of 337 people in 2016. In 2015, 484 people were killed, and 581 died in 2014. Reporting for the years 2014 through 2016 is ongoing, and these numbers are expected to increase in the future. In 2013, the most recent year where reporting is considered complete, the estimated number of ATV-related fatalities is 653. In 2013, 12 percent of the known fatalities involved someone younger than 16 years of age. There were an estimated 101,200 ATV-related emergency injury situations in 2016. The study estimates that 26 percent of those were under 16 years of age. From 1982 through 2013 – years with complete data – Washington had 180 reported ATV-related fatalities. From 2014-16, years with ongoing reporting, there were 16 deaths. In accident cases involving an ATV, insurance companies will almost always blame the victim. The insurance company will allege comparative negligence against the victim, claiming that the rider was at least partially to blame for the accident. ATV enthusiasts may be required to purchase liability insurance coverage on their vehicle if they ride on a public roadway. Liability coverage for your ATV will cover you for damages that you cause up to the liability limit. If you or a loved one has been involved in an ATV accident, the most important thing to do is seek medical treatment as soon as possible. This minimizes the possibility of future medical complications and can save you from a headache in the long run. Once the medical side of things is under control, victims should try and gather as much information as possible about the accident, including contact details of all people involved and any potential witnesses. Victims should take pictures of the accident scene, as these could come in handy down the line. Victims should not talk about the accident with anyone except the police and their attorney. 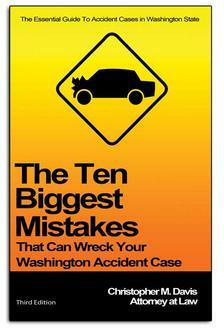 Do not talk with an insurance adjuster until you’ve consulted with a Washington ATV injury lawyer. If you or a loved one was injured in an ATV accident in Washington state, it is important that you talk to an attorney with experience in ATV-related incidents. 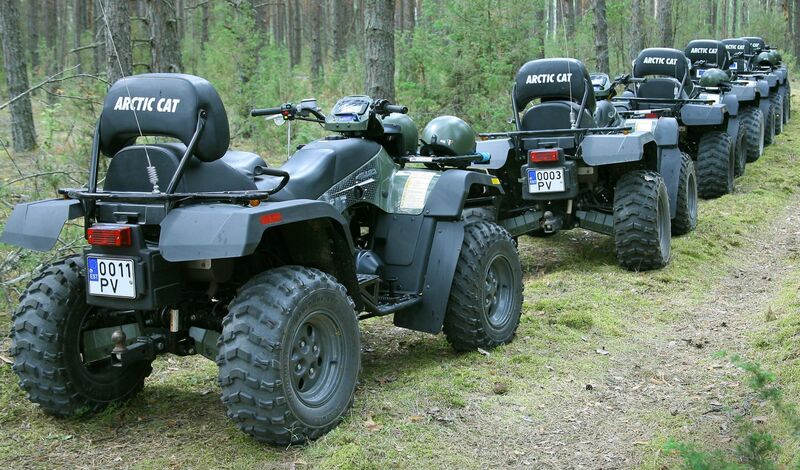 There are two reasons that ATV accidents occur: negligence and defective design. Unfortunately, all-terrain vehicle riders have a bad reputation for being reckless. Victims are likely to be blamed for the accident, even if it was someone else’s fault. Get the compensation you deserve by contacting the attorneys at Davis Law Group, P.S., today. Call (206) 727-4000, use the chat feature below or fill out the form on this page for a free case evaluation.